This is one of the articles found in BJJ Legends Magazine, Subscribe to BJJ Legends, Jiu-Jitsu Mag to get better, faster and tap out the competition. [bjjad][/bjjad][social][/social]Alvaro Romano has spent more than 20 years developing and training a natural style that is practiced by many world-class fighters and athletes, including BJJ world champions, the Ribeiro brothers Saulo & Xande, and ADCC champion Rani Yahya, who dramatically tapped out Leonard Vieira in 2007. The founder of Ginastica Natural, a Jiu-Jitsu black belt under Rickson Gracie, Professor Alvaro Romano, talks about his life‟s work, the Gracie legend Rolls Gracie and the growing mass appeal of Ginastica Natural in the U.S.
BJJ Legends: We’ve heard many top fighters and athletes practice Ginastica Natural, including the soccer player Ronaldo. Alvaro: Yes, I helped Ronaldo with the problem in his knees for the World Cup 2002. In fact, he was playing in Italy, and many of his team in Italy came to Brazil to experience this type of physical therapy. Ginastica Natural is very good [because while one practices GN,] it is hard to hurt one’s self since you use only your body weight, which is the optimal amount of weight you should use. There are many different types of training that I have developed for fighters, for kids, and for the businessmen. BJJ: What is Ginastica Natural? A: It is a mixture of Brazilian Jiu-Jitsu ground exercises, yoga, stretching, breathing techniques and strength training. I use the movements of the primitive man; I researched how they gathered food or ran on the beach, and they were very strong. It is important to realize the difference in Ginastica Natural and going to the gym or running. When you lift weights, you are training strength. When you’re running, you‟re training your cardio. Here, we can train it all together: strength, flexibility, cardio, everything. I was born in Rio de Janeiro, and my life was a life outside. I didn‟t use weight machines; my only exercise was outside exercise. I played in the trees and street. I lived near the beach. I love surfing, going to the beach, exercising and being outside. This is a lifestyle. This is Ginastica Natural; these were the influences that created Ginastica Natural. If you take this out from my life, this is not Ginastica Natural. If I were born in Sao Paulo, it would have been different. BJJ: Do you use only your bodyweight, no machines at all? BJJ: What part of your body gets stronger when you practice Ginastica Natural? A: All parts get stronger; you use your body weight, isometric exercises, dynamic strength. In two to three months, you will start to see a change in your body. I changed the movement your body has, and it is never the same. I study my body all the time; the life for me is the study of the movement. I create more and more exercises because you need a change for your body. If you keep doing the same exercises, your body gets used to it. You need challenge all the time in your life. BJJ: How important is the breathing? Do you use yoga breathing? don‟t breathe one minute, you‟ll die. When you control your breathing, you can control your mind and body. The meditation is control for your breathing. People say to stop your mind when you meditate, but don‟t stop your mind, focus on your breathing. Pay attention to kids or people who don‟t have stress; they breathe from their abs. You practice your breathing every day. Relax and pay attention to your breathing. BJJ: How many hours do you practice Ginastica Natural a day? A: I‟ll train for five or six hours a day. I teach many classes every day. It‟s a challenge. There are many different people, strong guys and/or people who need flexibility. Some days I develop new movements; it is challenging and I like it. I give 60 seminars a year; I go to Portugal, United States, Brazil and Australia. I also do a seminar on a fitness cruise called “Well Being Cruise” in Brazil, and talk about the quality of life. BJJ: Can you tell us some of the names of famous fighters who do Ginastica Natural? [Ribeiro brothers], and Rani [Yahya]. I train them every day before ADCC (*1): on the beach, inside, circuit training, everything. I am training mind and body, teaching the correct breathing methods and not keeping them static. Two hours before ADCC, I gave the guys a class, and it was very important. This is a good warm up. Sometimes you go to the place; there is not a good place to concentrate to warm up. I modify the warm up based on the energy level. 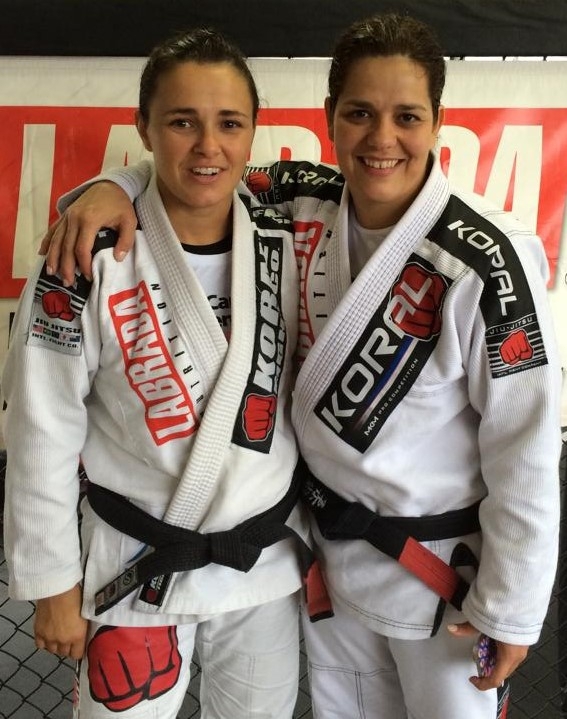 BJJ: Is Ginastica Natural mainly for fighters? A: No, Ginastica Natural is for everybody. It is for women who want to lose weight. It‟s for businessmen. We can create a class to do what you want. I also gave a class for the FBI, CIA, SWAT and police department. I create a program depending on what you want. BJJ: You are the founder of Ginastica Natural and a Brazilian Jiu-Jitsu black belt. [bjjad][/bjjad]A: Yes, I started Jiu-Jitsu in 1976 at Gracie Academy in Copacabana Beach. This was a Rolls(*2) and Carlson Gracie school. Rolls is my idol. I was acquainted with Relson (*3) and Rickson because I saw them all the time surfing. Relson is the first Gracie who surfed. In 1975, I went to Peru to go surfing. Rolls invited me to his house in Peru, showed me the philosophy for Jiu-Jitsu for my life, and the Gracie diet that his father Carlos Gracie created. He said when you go back to Brazil, come to my academy and start Jiu-Jitsu, and I said “OK!”. It changed my life. Fabio Santos [was] my classmate in the university. Fabio Santos, Rolls and I were always together. At Rolls‟, I never paid because I helped his class with warm ups. At that time, nobody did stretching. BJJ: You got your black belt from Rolls? A: No, Rolls died unfortunately. One week after he died, I got my brown belt from Carlos Gracie. After that, Rickson gave me my Black Belt. I consider myself a Black Belt by Rolls and Carlos Gracie as well. I trained with Rickson and Rolls. Rolls died, and Rickson has given the evolution of Jiu-Jitsu.I remember one time that I gave a Ginastica Natural class to Rickson and Marcelo Behring (*4) in Gracie Humaita Academy, and after that, we three trained Jiu-Jitsu together. It was very nice. After Rolls died, sometimes I went to Rickson Gracie academy and trained. Rickson, Master Helio Gracie, Royler, and Royce were there. Royce was only 15, 16 years old. Fabio Santos and me also went to the Helio Gracie‟s house in the mountain, and trained with Rickson, Rolls, [and] Royler. Rolls, Rickson and Carlos give me a lot of opportunities in Jiu-Jitsu to train. 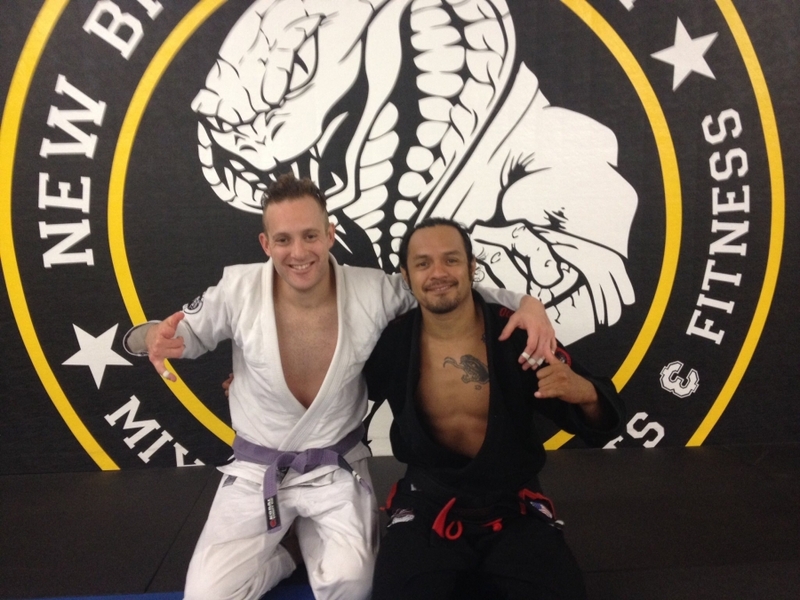 After Rolls died, Carlos opened Gracie Barra, [which is a] very good school. My son trains there now, I like it. It‟s the school of the gi. BJJ: Rolls is said to be one of the best of the Gracies and died very young, so there he is a legend. A: Rolls is the man; he had vision, he was forward thinking. He started videotaping training and he would show people. Everyone loves Rolls. He changed people‟s lives. BJJ: How was his Jiu-Jitsu? opponent‟s mistakes, and moves. Rolls was always ready to fight. He didn‟t need one-month training for the fight. He said he was ready here and now. One day, me, Rolls and the guy from police department fought at a Luta Livre Tournament (*6) in Rio. We represented the Gracie Jiu-Jitsu. There was only one weight category. The final was me against Rolls. Rolls asked me if I want to fight him. No, come on! It‟s crazy! He‟s my master! He was a very simple guy. This is very important. He changed the lives of people, and he was an idol of the people, a big influence – everybody loved Rolls. Many people in the world never see him, but when they stay with him for one day, they love him. He is the guy once in 100 years. I am very happy, because I have the opportunity to be in contact with his family, and I talk to his kids, Rolles, Igor, and Gregor, about their father. He gave me the direction for my life; it was very important for me. BJJ: What did Rolls value in Jiu-Jitsu? A: He always told his students, „submission‟. Rolls didn‟t stay in one position. He moved and changed positions. He had great Jiu-Jitsu movement. He was very intelligent. He had total control even against a big guy. His mind was very strong, too. Everybody went to the Rolls Gracie academy: Rickson, Rillion Gracie (*7), the Machado brothers, Carlos Gracie Jr, Crolin Gracie (*8), everybody. He had a good class, good students; everybody liked it. BJJ: Can you compare Rickson and Rolls? control he has. It‟s amazing. Renzo Gracie trained with Rolls for a long time, ever since he was a little boy. He fights today with good technique. I think Renzo has the spirit that Rolls had. Brazilian Jiu-Jitsu is Gracie Jiu-Jitsu to me. Everybody has a line back to them, a connection. Maybe they never trained with Rolls, Rickson, or the Gracie family, but their master or their master„s master learned from the Gracie family. BJJ: What is your nutritional program now? BJJ: What is in store for you in the upcoming year? classes, and certification courses in other places. I am going to have seminars in Maui, Kauai, Chicago, New York, San Diego, Los Angeles and Australia. My schedule is very tight! *1 ADCC is the Abu Dhabi Combat Club Submission Wrestling World Championship. Held every other year, it is considered the top grappling tournament in the world. *3 Relson is the second oldest son of Helio Gracie. *4 Marcelo Behring is a 5th degree Black Belt under Rickson Gracie. He died tragically in a drug deal. *5 Kron is Rickson Gracie’s son. *6 Luta Livre is a broad term referring to wrestling in Brazil. *7 Rillion Gracie is Carlos Gracie Jr’s brother. *8 Crolin Gracie is also Carlos Gracie Jr’s brother.